I only do a little nail art once in a blue moon. I'm not that creative when it comes to that matter but when I'm in the mood, I'm able to come up with a simple design. 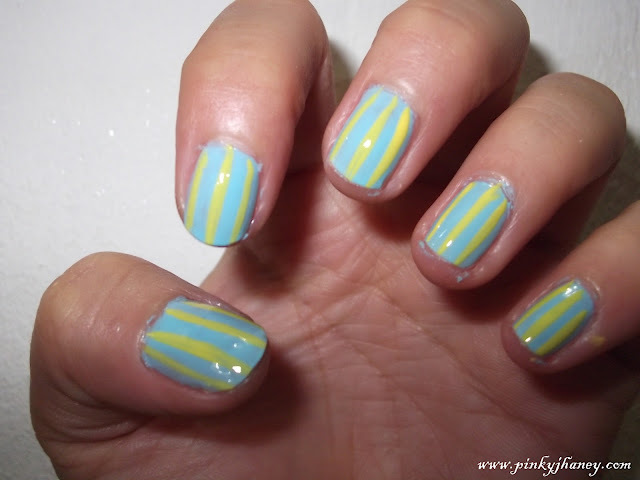 Thanks to nail art bloggers coz I'm able to get ideas from them. 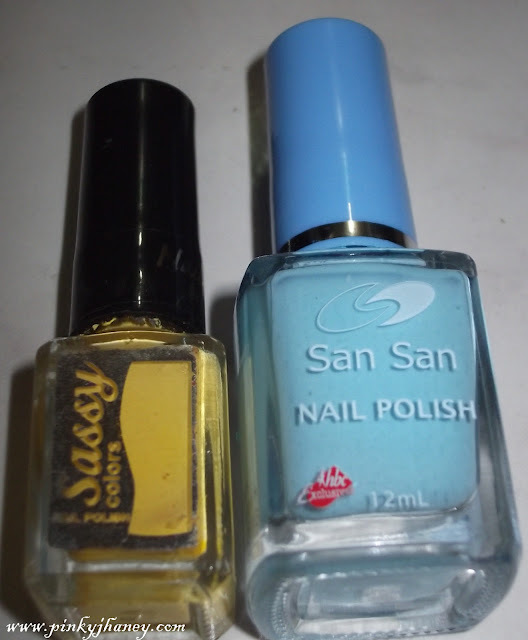 I used Sassy in yellow with nail art brush and San San in warm blue. I had the Sassy for almost a year now and it's my first time to use it. Stupid me, I bought it in Watson without reading the label so when I opened it at home, I was surprised to see that it has a thin brush. That's when I realized it's for nail art. LOL... I also bought a green one which I'll use in the future if I have the time again. I like the blue one! So refreshing to look at.